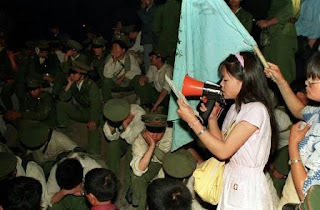 Students block army movement at dawn of June 3, 1989. 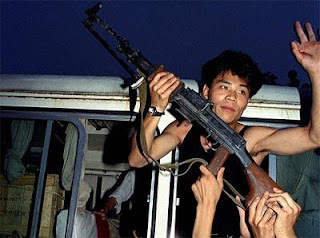 Students display weapons found hidden in civilian vehicles. 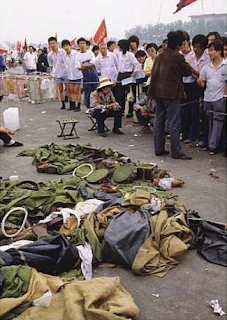 Students display military supply found hidden in civilian vehicles. 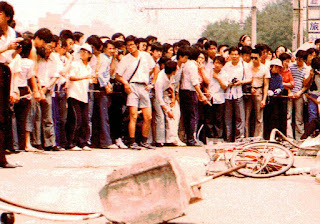 People inspect the site of accident the night before. 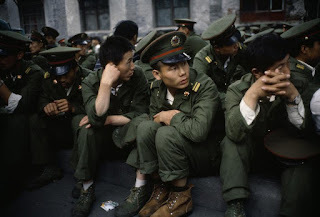 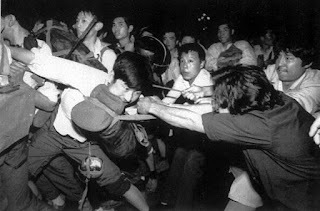 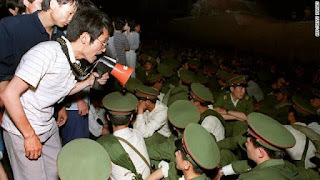 Soldiers surrounded by people in the morning of June 3, 1989. 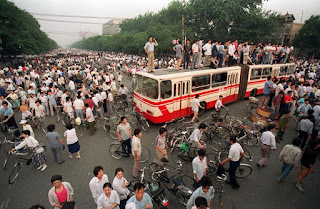 The street of Beijing in the morning of June 3, 1989.